We are best known as cartridge heater elements manufacturers and manufacturing control at our end ensures the perfect stability of the heater under critical environments. 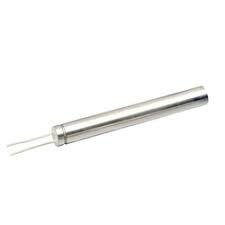 Cartridge heaters reflect the engineering excellence and are used at simple and complex applications. Premier in cartridge design, many industries at national and international level accepted our services. The watt densities for cartridge heaters extend up to 400W/sq.in. With maximum voltage 480V. The tests for different voltages are conducted before it gets installed at your location. We innovate, design, and deliver the required heaters. Leading as cartridge heater elements manufacturers, we continue to embrace the clients with our quality products and on-time delivery. Explore Chhaperia for various heaters and choose one that needs you the most.